Originally published in The Clarinet 44/3 (June 2017). Printed copies of The Clarinet are available for ICA members. 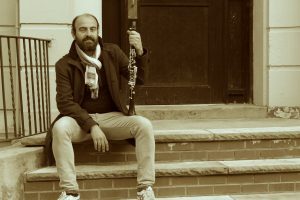 Born in Damascus, Syria, but residing in New York City, clarinetist Kinan Azmeh is bridging the gap between East and West, composer and performer, notation and improvisation. 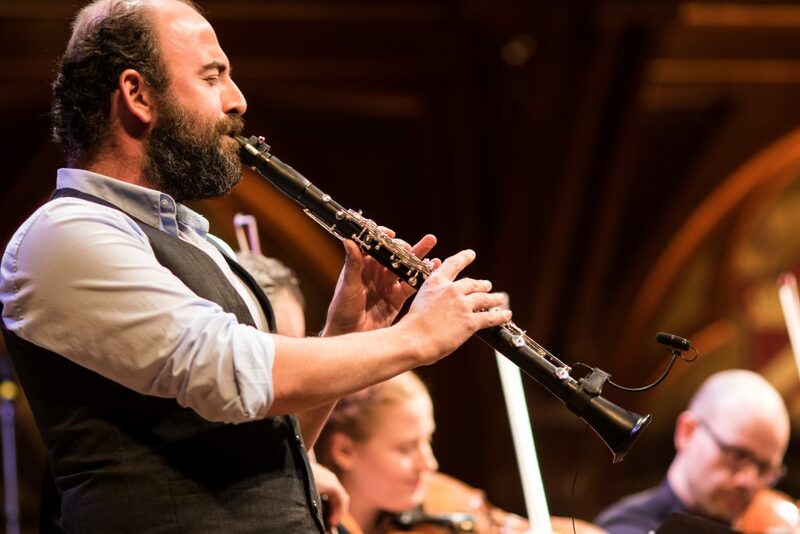 He has appeared on stage with Yo-Yo Ma in the Silk Road Ensemble and as soloist with groups including the New York Philharmonic and the Seattle Symphony, and performs with an Arabic jazz quartet based in New York City, the Kinan Azmeh CityBand. I sat down with this diverse clarinetist to understand both where he came from and where he’s headed. Boja Kragulj: Kinan, you were born in Damascus, Syria. Tell us about your musical path that led to New York City. Kinan Azmeh: I started playing the violin at 5 years of age, but that didn’t work out well for me. Because I am left-handed, controlling the bow with my right hand seemed impossible. My family even considered changing the strings on the violin so I could play with a bow in my left hand, but that would have made an orchestral life comic – I would poke an eye out from my stand partner. The alternative was to switch to an even-handed instrument, so we chose the clarinet. Many people assume we do not have classical music in Syria, but Damascus was and still is a very cosmopolitan city. While I grew up listening to all kinds of music at home and around town, I also attended a school for classical music study, so the roots of my education are similar to most clarinetists. BK: Do they not teach students Arabic music and Eastern music? KA: You now can study Arabic music intensely in Syria, but no, my studies were dominated by Western classical traditions. I had two classes in Arabic music history and theory. But maybe just being surrounded by traditional music means it affects your listening and becomes a part of who you are. That is certainly the case for me. BK: I’ve read that you have degrees both in electrical engineering from Damascus University and in music performance from the Higher Institute of Music in Syria. What helped you decide to pursue music exclusively and move to New York City? KA: I don’t see anything as unrelated to music and it has always been natural for me to think about music through many different lenses. Maybe that is why I am also a composer. But I had some good luck with my clarinet playing which encouraged me tremendously. For example, I won the premier prize at the 1997 Nikolai Rubinstein International Competition in Moscow. And I had really great teachers like Shukry Sahwki, Nicolas Vivonaof and Anatoly Moratof. So it was a logical next step for me to want to go to a larger city, with more influences and challenges. BK: You left Syria to attend Juilliard where you became a student of Charles Neidich. Tell us about that transition and how your move to the United States influenced your career. KA: I was very lucky to end up as Charlie’s student because he didn’t try to teach me how to sound. He would say “…you just have to convince me…” So I explored, and my natural voice emerged both as a clarinetist and as a composer. I’m very inspired by people who transcend what they do and become more than that “thing” – like Mozart, for example. He was a composer, a conductor, a performer. It was just all about music, so whatever role he needed to take on to express his music, he did it. Maybe thinking that way influenced my decision to be both a composer and performer. BK: How is your career as a composer different than your career as a performer? KA: It really isn’t. I see composition and performance as highly related. In one moment, I am writing, and then when I make a decision to play what I wrote, I am performing. So to write music and then perform it is natural. The only difference is that in one moment I hold a pen, and in another moment I hold a clarinet. But actually, it was a strange moment when I had to write something for another clarinetist because I had to think carefully about the idiosyncrasies of the instrument generally, and not only what I want to do or can do. BK: You recently performed Mozart’s Clarinet Concerto with a Lebanese orchestra, but you also perform your own works that cross out of the classical tradition and into Syrian/Eastern music. 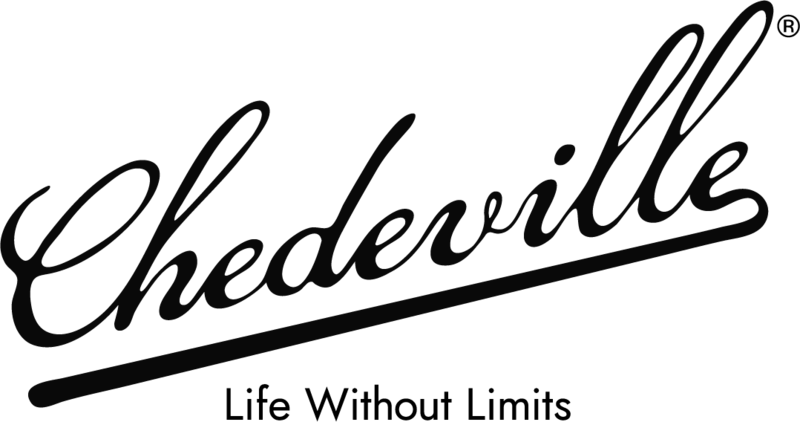 Tell us about the differences in technique between the two styles of performance. KA: Many people are shocked when I say this, but I think there is absolutely no difference in technique or performance between Eastern-folk-inspired music and music from the Western classical tradition, like the Mozart Clarinet Concerto. The difference is simply in how you hear the music and what you know about the music, but the approach is the same. You always want to have a personal and meaningful sound. People are also surprised to learn that I don’t change my equipment for different types of performance, not even my reed – it is also the same for me. I believe the performer has to listen carefully and just naturally aim for a meaningful result. Playing different types of music is like speaking many different languages. And in those languages, humor is humor. I don’t use different humor when I am speaking Arabic, or change my sense of humor when I am speaking English. The meaning and the emotion transcend the language or genre. BK: Many of our readers will be curious also about your equipment. What equipment do you use and why do you love it? KA: I am currently playing a Selmer Privilege clarinet (I am a Selmer Paris artist), a D’Addario Reserve Mouthpiece, a Rovner Platinum ligature (I am also a Rovner artist), and Vandoren reeds. This combination works for me and is able to deliver the sound that I imagine. I do think that this is the role of equipment anyway, that it will help you be true to the sound you imagine yourself producing. Growing up in Syria (without much variety of equipment to choose from) made me quite flexible in my choices, and I always try to make the best of what I have. The equipment you use can only help you improve your personal sound. BK: Tell us about what’s on the horizon for you, especially your upcoming premiere performance at the 2017 ClarinetFest® in Orlando. KA: I have never before been to a clarinet festival, so I am very excited to meet new clarinetists and to share new experiences. I don’t really think of myself as a clarinetist. I am just a musician who happens to play the clarinet. So it will be wonderful to be among people who do the same thing! I am also honored to represent Rovner products at the festival. At ClarinetFest®, I will be performing a program of music that involves compositions and improvisations titled “The Art of the Duo,” with Sri-Lankan/Canadian pianist Dinuk Wijeratne. I personally think that the best-composed music is that which sounds spontaneous as if it were improvised, and the best improvisations are the ones that sound structured as if composed. So this presentation is an example of what I think all music can be – that is, intuitive. Other than this big event in Orlando, my life consists of both playing and composing. I feel lucky to be doing both and look forward to more. I’ll be working on a concerto grosso for orchestra and a clarinet concerto for the upcoming season, and with the Deutsches Symphony Orchestra Berlin I’ll also be recording an album of music by Syrian composers who wrote concertos for me (including my own Suite for Improviser and Orchestra). I am also working on a new album with my Arab-Jazz quartet, the Kinan Azmeh CityBand. Some of my work with the Silk Road Ensemble and Yo-Yo Ma may also be recorded soon, so look for that in future. 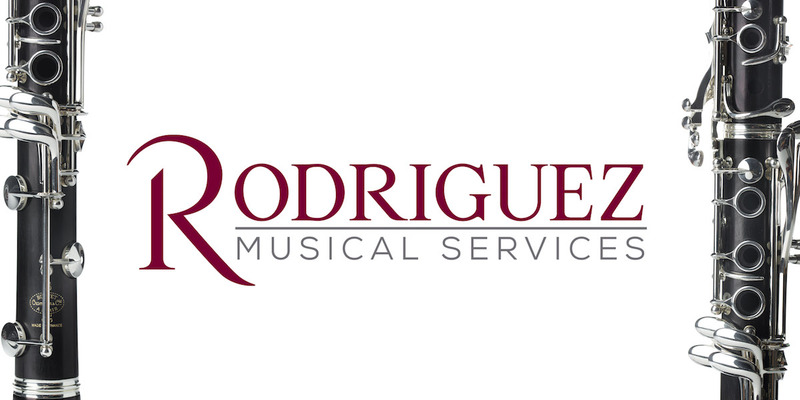 BK: Do you have any advice for young musicians who may read this article or a message for clarinetists around the world? KA: Just be true to yourself and keep wondering about what keeps you in the practice room all these hours. You need to have three things to be a good artist: you need to have something to say, you need to have the tool to say what you want to say (in my case it is the clarinet), and you need to have the skills to use that tool to say what you want to say. You also need to have open ears and endless curiosity. I have advice also for the parents of young musicians: please pick up an instrument and learn along with your kids; this is the best means of support that is out there. Boja Kragulj bridges the gap between musical traditions, a specialist in both Western classical and folk performance. She is a Fulbright Scholar, a first-prize recipient of the ICA Research Competition, and holds several awards for her classroom and studio teaching. Former teachers include Melvin Warner, John Bruce Yeh, Richard Hawkins, Kenneth Grant, Eric Mandat, Kelly Burke and Ricardo Morales.